Second Monster Portrait. Evan Lindquist. Engraving, 1981. Edition 25. Image size 9 x 11 7/8″ (227 x 301 mm). Ghost Walk. Sarah Sears. Etching, 2001. Artist proof. Image size 7 1/2 x 12 1/4″ (190 x 311 mm). Weissenburg Witch. Published by C. Burckardt’s. Deponirt “Druck u.Verlag v. C. Burckardt’s Nachf. in Weissenburg (Elsass.) Color lithograph, undated, circa 1880. Paper size 65 x 27”. Printer/Publisher stamp in lower right. Weissenburg/Alsace, France. The Witch House. Salem, Massachusetts. Charles Mielatz. Drypoint, 1903. Edition unknown. Image size 9 5/8 x 6 5/8″ (244 x 168 mm). You’ve got what it takes – To haunt a house!!! Copyright T.C.G. Printed in U.S.A. Undated. c.1970. This lighthearted Valentine features a young man fawning over a young girl. Flip it over and reveal the girl frightening even the ghost with her face. Card size 3 1/2 x 2 1/2″. The Flying Machine from Edinburght in one Day, preform’d by Moggy Mackensie at the Thistle and Crown. Publish’d according to act of Parliam’t. Engraving, c.1800. “On broomstick by old Maggy’s aid / Full royally they rode; / And on the wings of Northern winds / Came flying all abroad. / The Garden of Eden is before them / and behind them a desolate wilderness.” – Joel Chap, 2, Ver. 3. Paper size 10 5/8 x 9 1/8″ (270 x 232 mm). Thomas Jefferson, Esq. President of the United States. After a painting by Rembrandt Peale. Engraved by Enoch G. Gridley, State St. Boston. 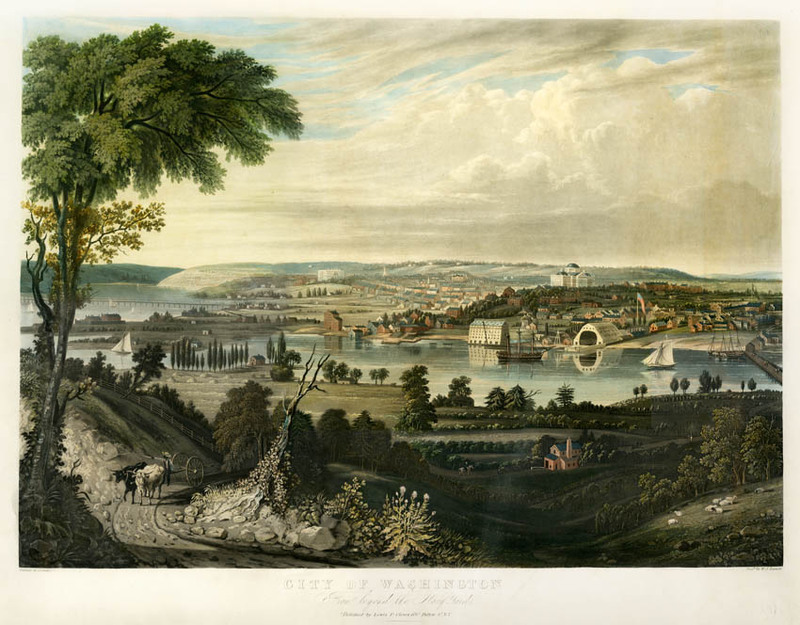 Undated, circa 1801. Stipple engraving. Image size 11 1/4 x 9 inches (28.5 x 22.9 cm) plus margins. LINK. We recently added to the OPG inventory a rare, early American engraving of a key figure in our nation’s history, Thomas Jefferson. Thomas Jefferson (1743- 1826) was the Vice President under Madison and the third president of the U.S. ( from 1801–1809). Jefferson was one of the founding fathers of the Revolution. He was also the chief architect of the Declaration of Independence. 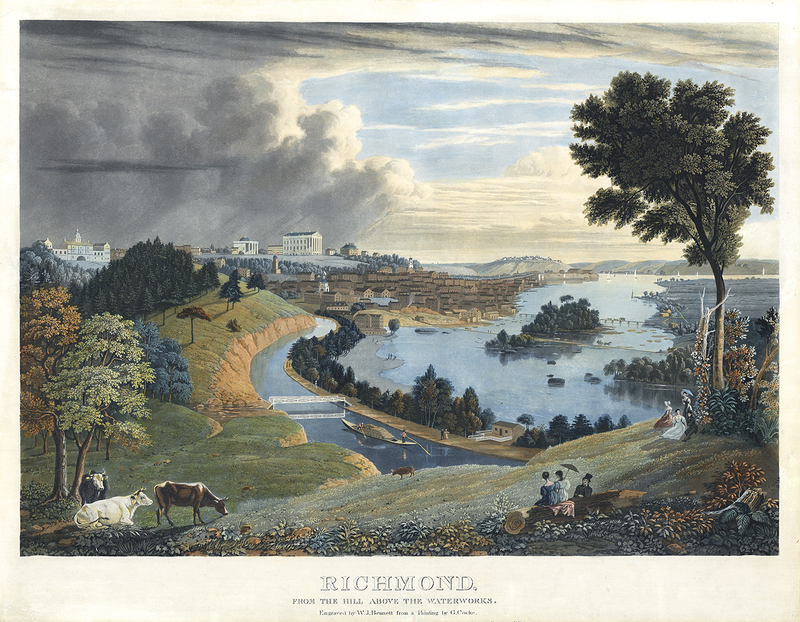 This particular print is extremely rare with only a few examples known. The print is based on Rembrandt Peale’s portrait painted in 1800. 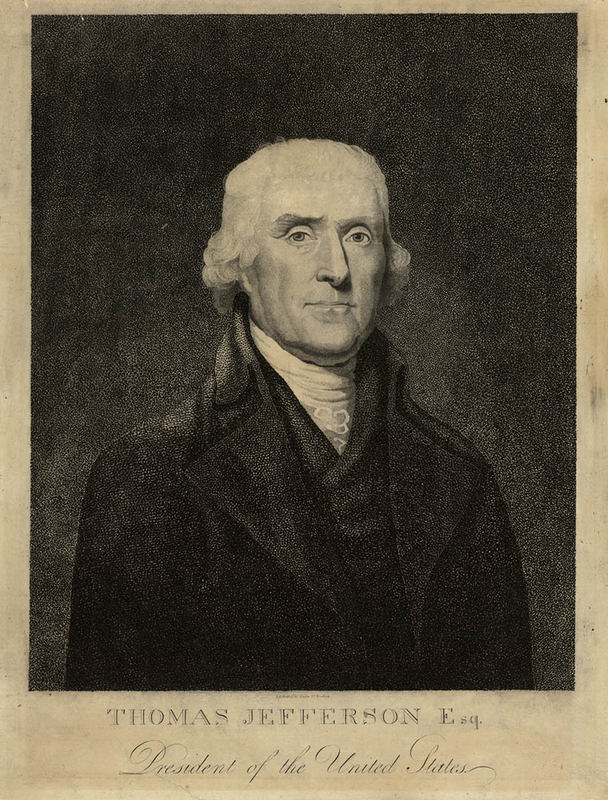 It is a very close copy of a portrait that was engraved by David Edwin and published by John Savage in 1800 (while Jefferson was Vice President) and again in 1803 (while Jefferson was President) . Little is known about the engraver of this portrait, Enoch G. Gridley. Most references list him working in New York, then on to Philadelphia. 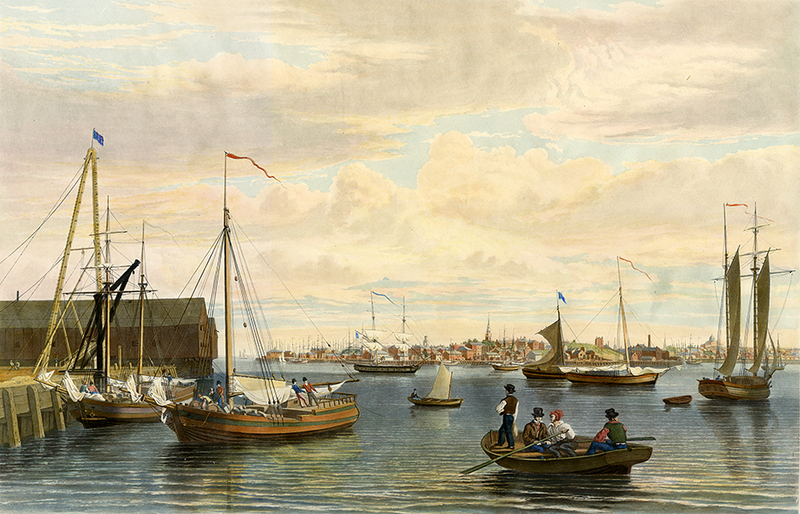 This is the only known engraving by him that notes Boston as a location. This is also one of the larger plates that he produced. Most of the works that he produced were small, book plate sized. REF: Stauffer – Fielding, American Engravers, supplement #531.